Will PVC be able to retain its firming in India amid monsoon rains? In India, the PVC market traditionally enters its low season once the annual monsoon rains reach the country in around early June. According to the latest weather reports, the first rains of the year hit the southern regions a few days earlier than normal last week. Despite the arrival of the monsoon season, the country’s local PVC market has recently maintained its firming trend on the back of some production shutdowns. The depreciation of the Indian rupee against the US dollar also contributed to higher offer levels for local PVC. 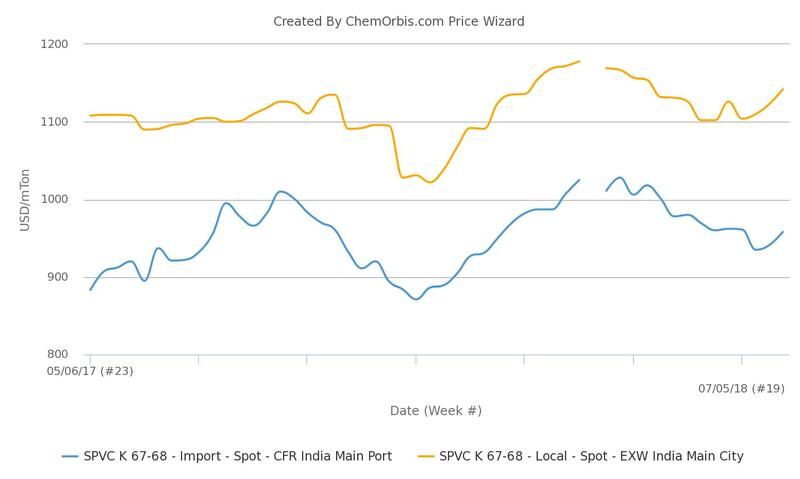 Data from ChemOrbis Price Index reveal that the weekly average of local PVC k67 prices on ex-warehouse India basis have been rising for the past three weeks while the import market has mostly followed suit. A domestic producer lifted its PVC prices by INR1000/ton ($15/ton) as of June 1 after applying three separate hikes during May. A local PVC producer, DCW, unexpectedly shut its plant on May 24 due to constraints on VCM supplies caused by the protests in the local area while another domestic producer, Finolex, plans a shutdown at one of its PVC lines during the monsoon season. 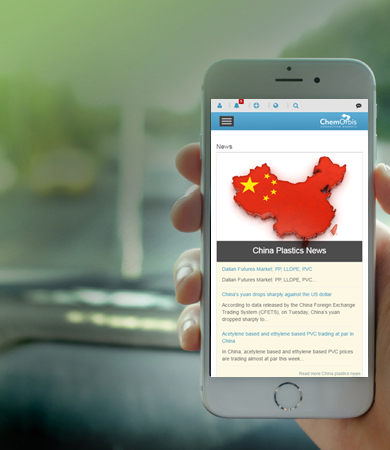 Meanwhile, a major Taiwanese producer, Formosa, is planning to carry out turnarounds at its VCM and EDC units in June, which is playing a role in shaping players’ expectations for the upcoming price announcements for July. “July PVC prices might not see any major changes as the market is likely to be balanced between limited supplies and seasonally low demand,” a trader in India opined.